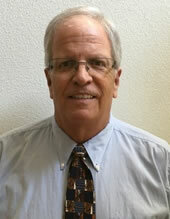 Mr. Reynolds is an energy and technology analyst for 20/20 Capital Group. Mr. Reynolds has over 30 years of professional experience in the energy and environmental industry sectors - functioning at various times as a regulator, environmental/energy engineer, technology review analyst/consultant and expert testimony provider. Mr. Reynolds and 20/20 Capital Group's CEO have worked together, at different times, over the past 20 years. Mr. Reynolds most recent experience includes energy efficiency and energy-related technology assignments as a consultant to several companies on solar, wind and traditional electric power generation/energy recovery projects. Mr. Reynolds also has comprehensive experience in the utility, gas & oil, aerospace, primary/secondary metals and mining industries - primarily while relating those industry technologies to process and pollution control technologies, energy efficiency, and environmental contaminant and transport simulations. Mr. Reynolds has been an independent consultant to both project development companies and industry on these matters, after multi-year management positions in technical and analytical energy/environmental consulting firms, including TRC Environmental, Chester Engineers, Keystone Environmental Resources, and NEA, Inc. Mr. Reynolds started his career as an Air Pollution Meteorologist/Planning and Permit Engineer for six years with the Missouri Department of Natural Resources Air Pollution Control Program. Mr. Reynolds holds a BS in Chemistry (with highest honors) with double minors in English and Political Science from the University of Nebraska/Lincoln and an MS in Atmospheric Sciences, Mechanical Engineering and Statistics from Oregon State University. Mr. Reynolds completed his Master's education and research under grant sponsorship as a USEPA Air Pollution Fellow and Batelle National Laboratory. Mr. Reynolds resides in Pittsburgh, PA. Copyright © 2019 20/20 Capital Group. All rights reserved.